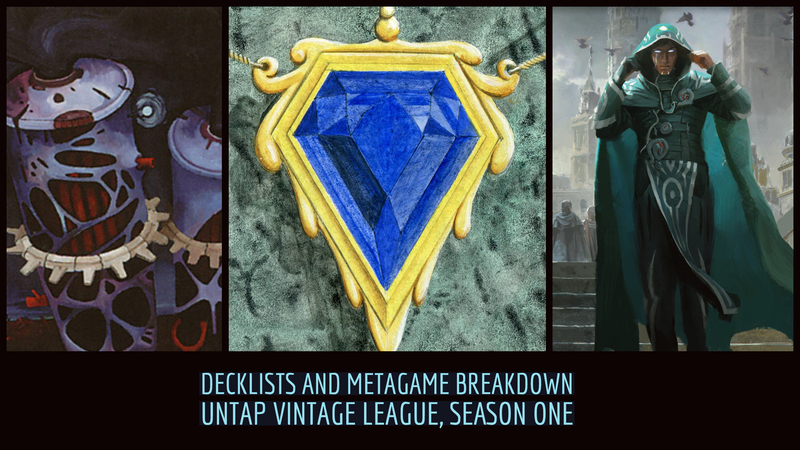 This past week, 33 Vintage players submitted lists for our first Untap Vintage League. 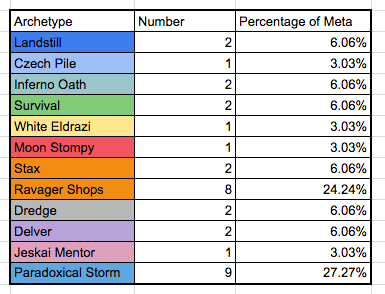 The two most popular archetypes were Paradoxical Storm and Ravager Shops, coming in at 27% and 24% of the metagame, respectively. If you combine Ravager Shops with Stax, Workshop lists come in at an astounding 30% of the meta. You can find a complete breakdown along with decklists below. Participants can find raw lists and player availabilities here and feel free to join us on discord to follow the action live! As always, I am indebted to the volunteer staff at the Untap Vintage League, without whom we wouldn't be able to launch this tournament series. While a lot of these lists may seem a bit raw, I do think it's of interest to see what the next generation of Vintage players are testing and brewing. Questions? Comments? Please don't hesitate to reach out through social media, discord, or below. Here's a little more data/information, for people interested. Thanks again for all of the support!